Odds are, you’ve probably never had genever. It was not a product that had been readily available in the United States (until Bols reintroduced it in 2008). If you traveled to Holland, you’d find that genever is their most popular spirit, outstripping even vodka. Before prohibition, genever was an extremely common spirit in the United States. Jerry Thomas cited genever, or ‘Holland Gin,’ as a key ingredient in many of his cocktails in the world’s first cocktail book, “The Bartender’s Guide“, in 1862. Genever is also actually the grandfather of gin, brought to England in 1688 by King William I, a Dutch king. 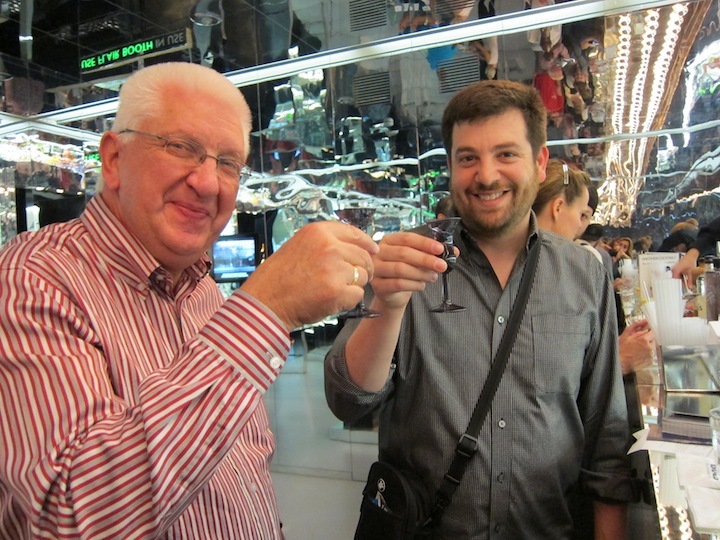 William I loved genever and was passionate about sharing his love of the spirit with the British. It was that genever that would ultimately be used as the model to create gin. But, genever is NOT gin. While they share some similarities, including the use of juniper as a botanical, genever is defined by the use of malt wine, and gin is more defined by the botanicals (and does not have any malt wine). Malt wine is a spirit distilled from wheat, corn, and rye. It’s very similar to what’s used to make whiskey but it’s fermented longer, giving it a distinct flavor when it’s distilled. “We ferment 2-3 days longer that you would for making whiskey, and those last two days are critical in making good malt wine,” explains Piet Van Leijenhorst, Master Distiller for Bols. The distilled malt wine is blended with a neutral spirit and a botanical mix (the juniper in the botanical mix is actually distilled separately with malt wine) to make something that lives between whiskey and gin, while being a unique and distinct spirit in its own right. Like whiskey, genever can be aged in barrels, which adds oak and more spice to the mix. In 2008 the Dutch Government and EU created an official AOC (Appellation d’origine contrôlée) for genever which defines exactly what genever is and where it can be made. The AOC specified genever could only be produced in Holland, Belgium, and very specific areas of France and Germany. The AOC divided genever into two distinct categories: “young genever,” which can contain no more than 15% malt wine and 10 grams of sugar per liter, and “old genever,” which must contain at least 15% malt wine and no more than 20 grams of sugar per liter. The terms ‘young’ and ‘old’ don’t refer to any aging of the spirit, but rather the new or old style of making genever. In the US, the only genever currently on the market is Bols Genever. 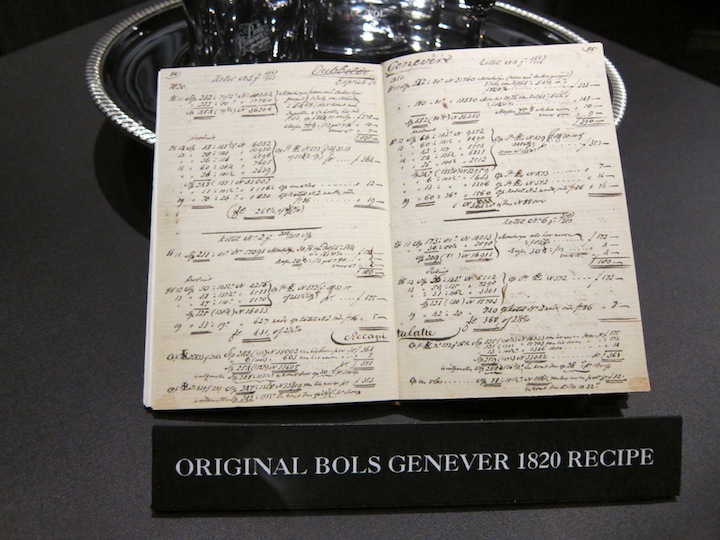 Bols brought their genever to the US market in 2008. 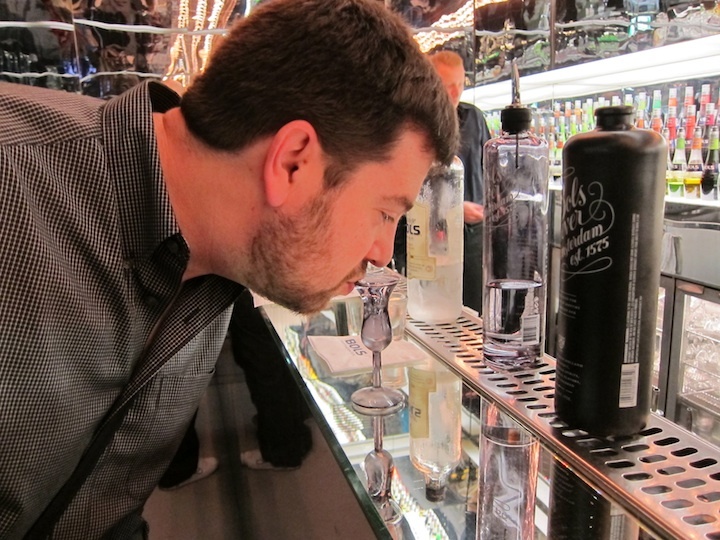 Cocktail Historian David Wondrich approached Bols about their genever after researching the drinks in Jerry Thomas’ iconic cocktail book. Looking to reproduce “The Original Collins,” Wondrich helped unearth a recipe from 1820 that was most likely that key ingredient in Jerry Thomas’ book. Shake Bols Genever, lemon juice, and simple syrup with ice. Strain into a Collins glass over ice and top with sparking water. 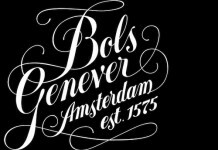 In addition to the standard genever, Bols also has recently released a barrel aged genever. This genever is a blend of genevers that have spent time in French oak. The youngest genever in the blend is 18 months, with genevers as old as 15 years in the mix. It’s tasting age, or how it tastes against equivalently aged, unblended genever, is around 3-5 years old. Aging the genever adds the wonderful notes of the French oak to the mix and enhances the genever’s whiskey-like character. But again, genever is NOT whiskey, and the French oak notes are distinctly different than the American Oak barrels traditionally used for American and Scotch whisky. The barrel aged genever works very well as an alternative to whiskey in many classic cocktails, including the Manhattan. STIR with ice, strain into a chilled cocktail glass, and garnish with a cherry. Ultimately, genever is a very versatile spirit, whether it’s used in cocktails like the Classic Collins, served neat, as a companion to a beer, or even simply mixed with Coke, it’s a compelling alternative to both gin and unaged whiskey.